The nuptials of Haley and Trevor were truly a dream come true for the bride, who always envisioned a backyard wedding at her family home. After her beau proposed at sunset on the rooftop of the Peninsula New York – a sentimental spot since Haley’s grandparents and parents also got engaged in New York City – the preparations for the at-home celebration began. 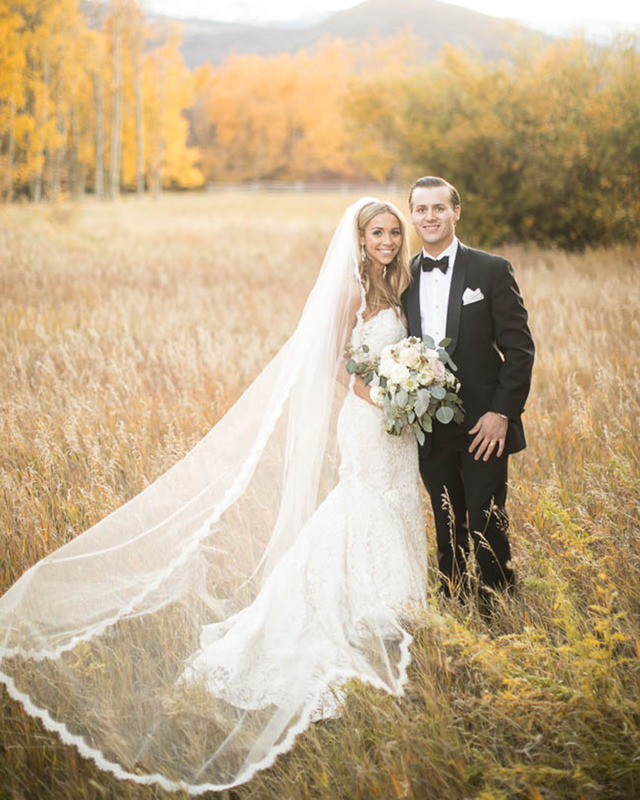 Following the couple’s traditional ceremony, Haley – elegant in a Monique Lhuillier gown – and Trevor were showered with flower petals as they exited the sanctuary as husband and wife. 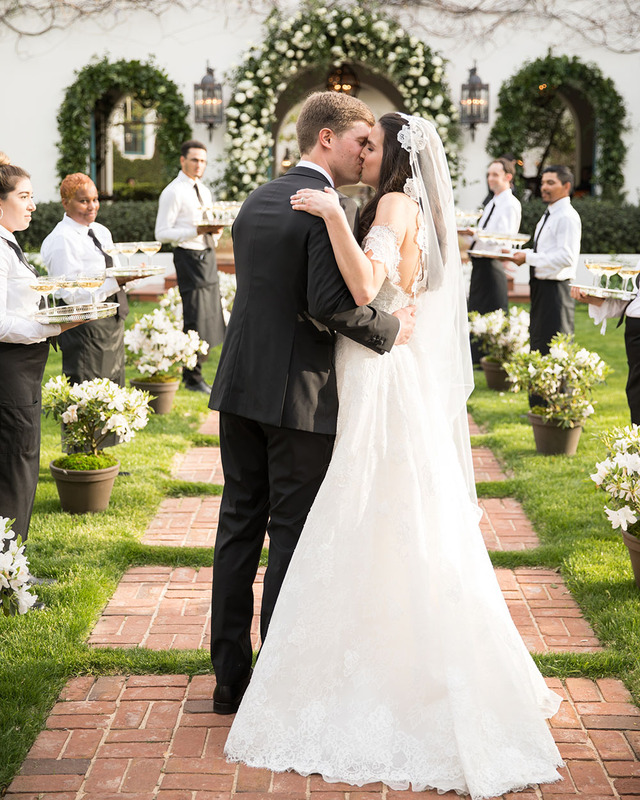 Nearly 300 guests strolled alongside mariachis from the church to the bride’s childhood Spanish colonial home, where servers welcomed friends and family with Champagne served in coupe glasses – both surprises from the mother of the bride, who helped to plan the soirée. 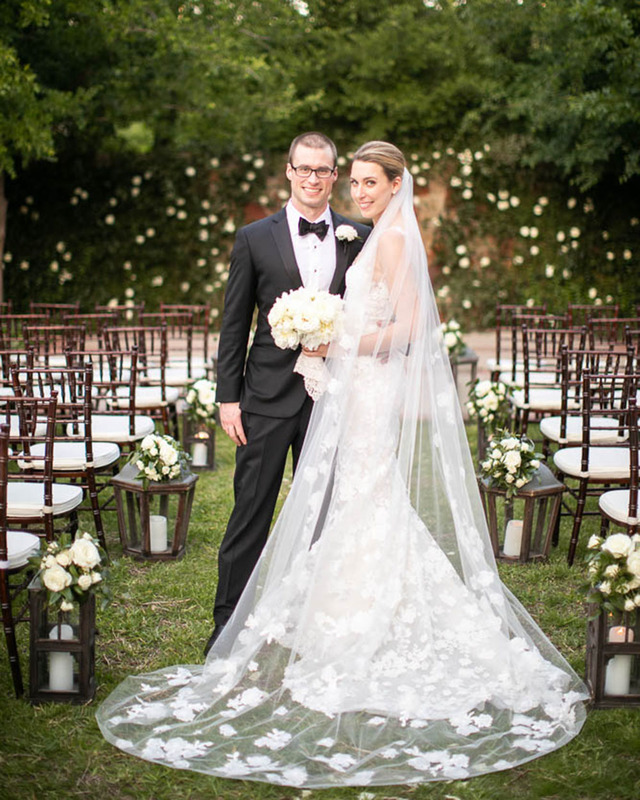 Nearly 300 guests strolled alongside mariachis from the church to the bride’s childhood Spanish colonial home, where servers welcomed friends and family with Champagne served in coupe glasses – both surprises from the mother of the bride, who helped to plan the soirée. 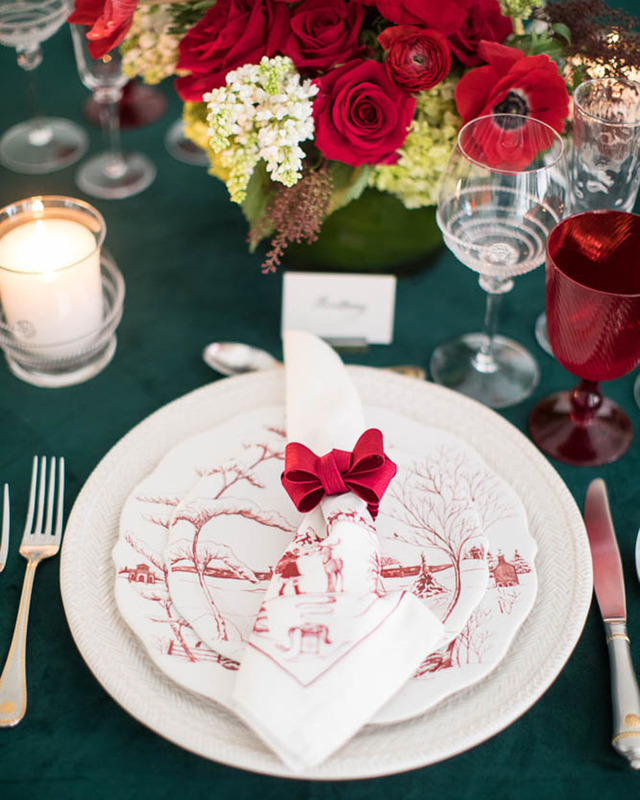 Gorgeous greenery and blooms designed by Bella Flora of Dallas highlighted dinner tables as well as the architectural elements of the property. Prior to enjoying the sit-down dinner service, loved ones savored a specialty cocktail – another surprise from the bride’s mother – served from an ice luge at a custom bar that wrapped around an oak tree. Dinner took place in a clear-top tent beneath the stars, as did hours of dancing on a custom dance floor floor emblazoned with a charming tile motif. A celebratory explosion of confetti ended the night as the new Mr. and Mrs. departed the fête to start their married life together.